Reinstate the strength, function and visual appeal of your smile. Dental implants are an effective and efficient method for reinstating the strength, function and visual appeal of an individual’s mouth and can serve to improve the quality of life by an immeasurable degree for sufferers. 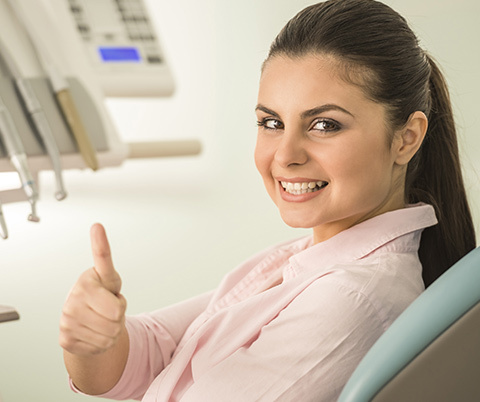 They offer you a permanent and secure solution for replacing one or more teeth. Implants function as anchors or support for traditional forms of dentistry, such as crowns, bridges or dentures. Implants are a great way to replace your missing teeth. Without all your teeth, chewing and eating can destabilise your bite and cause you discomfort. When teeth are missing, your mouth can shift and even cause your face to look older. A dental implant and restoration is a new tooth made of biocompatible materials, titanium and porcelain, that look just like your natural tooth. Your dental implant and restoration are composed of two parts that mimic a tooth’s root and crown. The implant fixture, or unseen part of the tooth, is a titanium screw placed into the jawbone to act as a “root”. Once the implant fixture is in place, an abutment and a porcelain crown is attached to replace the top part of your tooth. Implants may also be used to anchor dentures, especially lower dentures that tend to shift when you talk or chew. Research shows that patient’s satisfaction with dentures supported by implants is significantly higher than a conventional denture. The ADA has stated that implant supported overdentures could be considered the standard of care when treating lower arches with no teeth. For patients with removable partial dentures, implants can replace missing teeth so that you have a more natural-looking smile. Please click here to read more about dental implants. For any further information on dental implants, please do not hesitate to contact us and make an appointment to see Dr Christopher Smith.